The Ashtabula County Health Department conducts a swimming pool program under the authority of the Ohio Revised Code Chapter 3749. All pools are required to meet the minimum requirements of the Ohio Public Swimming Pool, Spa, and Special Use Pool Rules. A license is required for any pool or spa serving four families or more, which includes apartments, hotels, condominiums, homeowner associations, health clubs, as well as municipal facilities. The Health Department sends out license applications for all previously licensed pools and spas during the first week of April. The swimming pool program is concerned with the overall safety and health of bathers as it relates to the operation of the facility. This includes assurance of water quality, maintenance of filtration and circulation equipment, the presence of necessary safety equipment and warning signs, life guarding requirements, record-keeping, and overall facility operation. 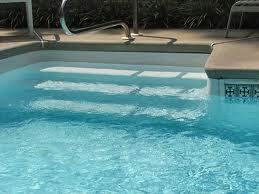 Some requirements relative to the design of a pool or spa will be dependent upon the date of construction. All operations are required to keep records of water quality testing results and accidents on a uniform weekly operation report. An attached rules synopsis may be helpful in exploring specific items in the rules. Replacement of a disinfectant feeding device with one of different method of delivery, capacity, or reagent. Replacement of a filter with that of a different media or capacity. Replacement of a pump with a different horsepower or flow rate. Either of these changes is referred to as an “equipment replacement”. Approval must be obtained by submitting an equipment replacement form. Construction that changes the depth, shape, or other basic design of the pool in a manner that affects pool patron safety or recirculation, system design, changes or replaces a deck, changes the basic design of a diving board, or adds a specific feature such as a slide. Complete replacement of the recirculation system. Changes to a diving board. Replacement of all return piping or skimmer piping. Replacement of more than 50% of a gutter system or the total number of inlets and outlets. For further detailed information on these requirements, you may contact the Ohio Department of Health directly at 614-644-5597. Two specific issues may be of concern to both the public and pool operators. The first deals with the potential of disease transmission in the pool and spa environment. The Board of Health has specifically addressed this issue in a section titled “Swimming Pool Disease Management”. The other issue concerns the potential entrapment/disembowelment hazard associated with main drain suction. This was addressed in recent changes to the Swimming Pool Rules in 1999. More information on this topic can be found in a fact sheet titled “Main Drain Suction Hazards”. Another great resource in the area of pool water quality to safety is the Centers for Communicable Disease and Prevention. The “healthy swimming” pages of their website include downloadable brochures and posters, as well as a wealth of information regarding swimming health issues. A public bathing beach is defined as “an impounding reservoir, basin, lake, pond, creek, river, or other similar natural body of water which is intended to be used by the general public for bathing, whether or not a fee is charged”. The permit allows for the beaches to be inspected by the Health Department during the recreational season to identify any safety, sanitation, or water quality concerns. Written inspections are provided to the beach operators for corrections to be made, if necessary. Public beaches on Lake Erie are tested weekly by the Ohio Department of Health. Inland lakes and private beaches are not tested by the Ohio Department of Health nor the Ashtabula County Health Department. Operators of beaches on inland lakes and operators of non-public beaches may contract with private environmental wastewater testing companies to collect beach water samples and have the water samples tested for bacterological water quality. *For more information on private environmental wastewater testing companies that collect and test beach samples for bacterological water purity, contact the Ashtabula County Health Department at (440) 576-6010 option 3. High bacterial levels can mainly be attributed to heavy rainfall events. The potential for bacterial contamination is the greatest during the first day following a rain event and swimming is not recommended for one to two days after the rain event. In other cases, however, the cause of high bacterial levels is not readily apparent. In these instances, the Health Department attempts to identify the cause and suggests potential solutions. When swimming or conducting other water activities during period of high bacterial levels, the risk of becoming ill from contamination increases. Children, the elderly, and individuals with weakened immune systems are the most at risk. Flu-like symptoms such as diarrhea, abdominal cramping, fever, and dehydration can occur from exposure to contaminated water. Upper respiratory illnesses, such as ear, nose, and throat infections, may also occur in addition to skin infections if an open wound is not properly protected. If you become ill after swimming at a beach, be sure to contact the Ashtabula County Health Department. If medical attention is required, make sure to inform your doctor that you have recently been to a public bathing beach.